What Exactly Is a Cosmetic Dentist? Dr. Grant Olson of Innovative Dental is passionate about giving people brighter and healthier smiles through the use of innovative techniques. 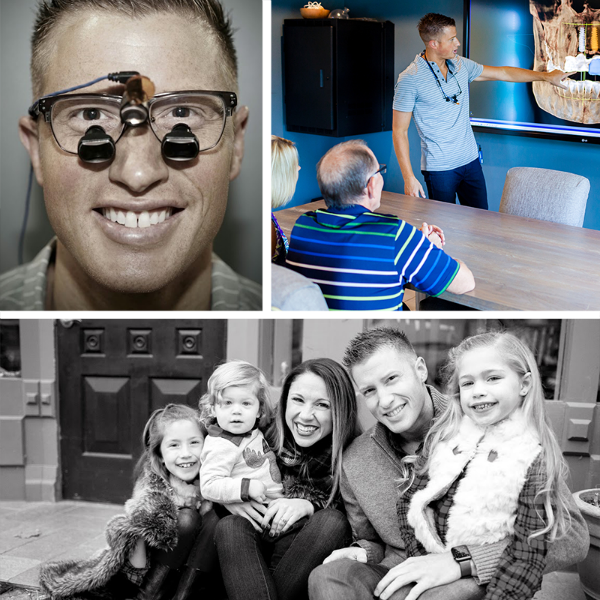 By investing in the latest technology and training, Dr. Olson and his team are able to provide patients with the highest level of dental care, from preventative to cosmetic. Advances in technology and techniques allow for specialized services including same-day cosmetics, Invisalign® and guided implants. In addition, CEREC digital dentistry allows him to provide crowns, veneers and even bridges in one appointment without goopy impressions or temporaries. 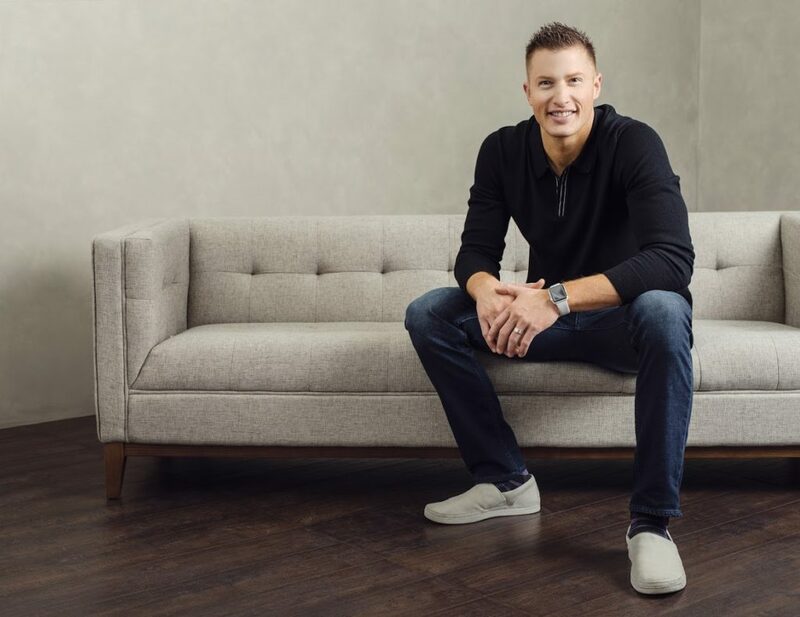 This innovative method of one-visit cosmetics has earned Dr. Olson recognition in publications and the title of the number-one provider of Invisalign in the Springfield area. Great atmosphere! Great customer service! Dr. Olson is a great dentist, he always takes time to explain any procedures thoughrally to you. He is so personal and builds life long relationships with his patients. I would recommend this dentistry to anyone. Along with cutting-edge dental techniques, the office’s preventative measures for both children and adults ensure the continued good health of teeth and gums. “It’s astonishing how many people suffer emotionally and physically from a poor smile,” Dr. Olson says. “We love seeing the impact on one’s entire life after they allow us to give them something to smile about.” In his free time, he enjoys spending time with his family and volunteering in the kids area at his church. In addition to providing general oral care services, cosmetic dentists are trained in various techniques designed to restore form and function to teeth for a beautiful, natural-looking smile. Some of the most common treatments performed by cosmetic dentists include porcelain veneers, dental implants, Invisalign® and teeth whitening—which can address concerns ranging from discoloration and misalignments to damaged or missing teeth. By selecting the right cosmetic dentist, you can expect comprehensive, quality dental care with a focus on achieving optimal aesthetics. There are several factors to consider when choosing the right cosmetic dentist for your dental care. The following advice can help narrow your search and ensure you select the cosmetic dentist best suited to achieve your smile goals. Verify that the practice offers a comprehensive range of dental services. You want to be sure you receive the safest, most effective treatment for your unique case, and a cosmetic dentist who provides a full array of dental care options is more equipped to select the ideal procedure for your needs than a practitioner who offers a limited variety of services. Furthermore, those who provide general and preventative care in addition to cosmetic dentistry are capable of optimizing your oral health (if needed) prior to addressing aesthetic concerns, which is essential to achieving excellent, long-lasting results. Read about the technology utilized by the dentist. State-of-the-art dental equipment can not only improve diagnosis, planning and treatment processes, it can also be a great indication of how dedicated a practice is to providing the most up-to-date and beneficial services available. Innovative dental technologies like CEREC®, Galileos™ 3D imaging, DentalVibe and more help to make dental care more comfortable, efficient and successful than ever before. Take a look at before-and-after pictures of previous patients. Often available for viewing in a practice’s Smile Gallery, these photos can show you the type of results your prospective dentist is capable of achieving with various treatments. If you do not find images for your procedure(s) of interest online, do not hesitate to ask your dentist if they have any you can view when you meet for your consultation. Check out what other people have to say. Reading about the experiences of other patients in dentist reviews and testimonials can be a great way to get an idea of the type of care you can expect to receive. Many practitioners have these available on their websites, but third-party review sites can also be good places to look. Make sure you connect well and establish strong communication. Regardless of how skilled a cosmetic dentist is or advanced their technology may be, you want to feel completely comfortable with whomever is providing your oral care. An in-person consultation is an excellent opportunity to build a good relationship with a dentist and ensure the two of you are on the same page in regard to your needs and overall treatment goals. When all is said and done, you should feel completely comfortable and confident in your decision. If for any reason you are not fully satisfied in a provider, it is absolutely acceptable to continue searching until you find the best cosmetic dentist for you. Contact Dr. Olson today, and feel confident, safe and comfortable in the quality of your dental work.